Colourful rings for older kids or kitsch loving ladies are so easy and fast! I made these for a market and it was so much fun. Ring backs, there are lots of different types. I got these online from a seller on a craft site. i had to bend the backing round the button to make them stable. E6000 Glue, its amazing stuff! perfect for jewellery making! BUTTONS! Buttons are so inexpensive if you buy craft ones in big bags, at markets you can find antique buttons! options are endless! I always place the glue on the ring back not on the button, you want a fair amount, not too little and not to much. They need to dry/set over night. I always use paper underneath so i don’t get any glue on the surface I’m working on. You can stack the buttons easily by gluing a button to the top of the other button first then gluing the ring back on. I made 10 button rings in 10 minutes! So easy and a cute for adults and kids! 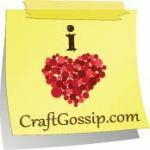 Be sure to check out my other Tutorials and My craftsy!